Pat Grigadean is the founder of Pat Grigadean & Associates and has been a professional mediator*, trainer and conflict management consultant specializing in workplace and estate disputes since 1990. 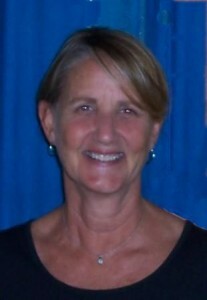 She is the former program director of the Dispute Resolution Center of Austin and served as employee relations specialist in the HR department at St. Edward’s University for 13 years. Pat is co-founder of Creative Estate Distribution, a mediation service which helps heirs make decisions about inherited property. In addition to her work in conflict resolution, Pat is a singer and is the founder of Musical Memories, a service which provides one-to-one musical interaction for elders, particularly those suffering from Alzheimer’s, dementia, and stroke. She is also a freelance writer and editor. She is the author of Pat Answers, an online advice column dealing with workplace issues, and Pat Pending, a blog about life transitions. *Pat Grigadean has completed the training specified by the Alternative Dispute Resolution Act of Texas which meets the statutory requirements of the Texas Civil Practice and Remedies Code #154.052, and has over 500 hours of applied mediation experience and over 4000 hours conducting mediation and conflict resolution training.